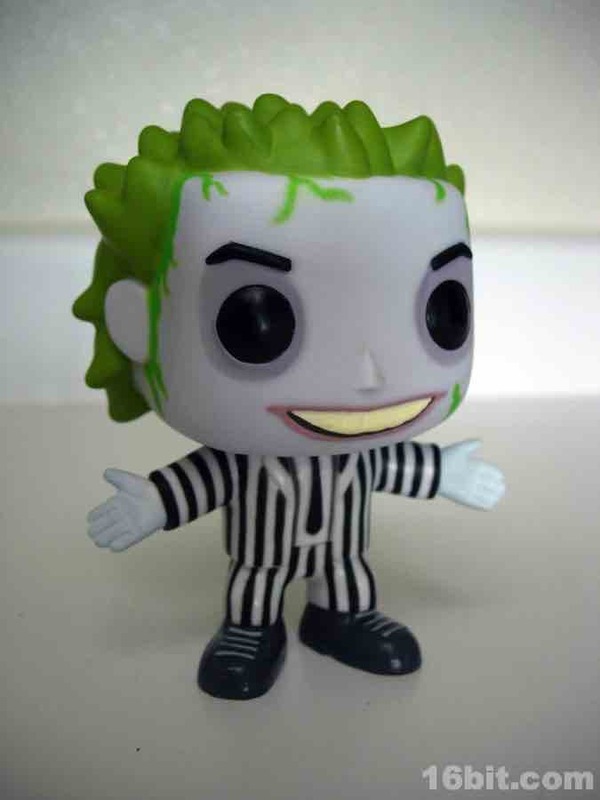 For an offbeat Tim Burton comedy starring Alec Baldwin and Geena Davis, there sure are a Hell of a lot of Beetlejuice toys. Mezco made some dolls and their own take on a vinyl figure, Kenner had a full action figure line, NECA has cranked out several as well-- including one of the ugliest lines I've ever seen just when they were getting their start in action figures, but I digress. 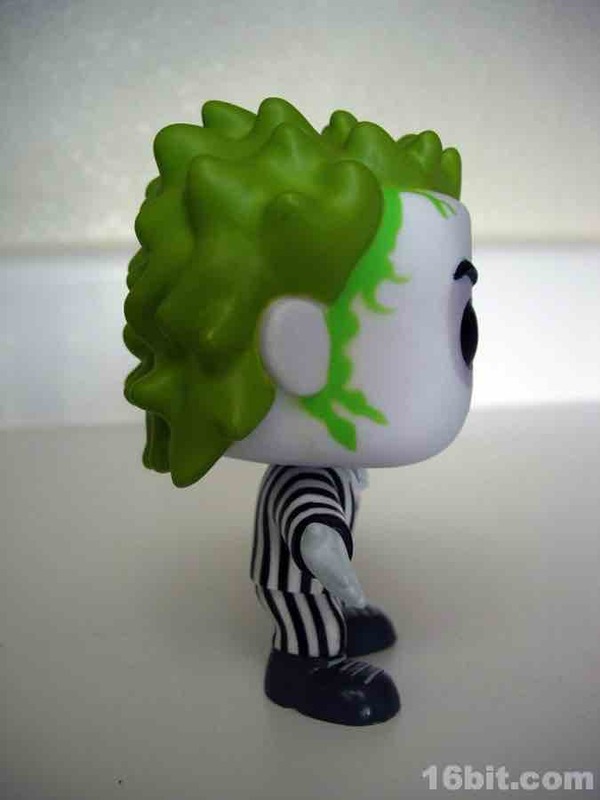 Funko decided to apply their house style to the title character and this is the end result-- a nifty, cartoony creation that has all of the key elements of the character, minus any sign that he was played by Michael Keaton. That's no small feat. 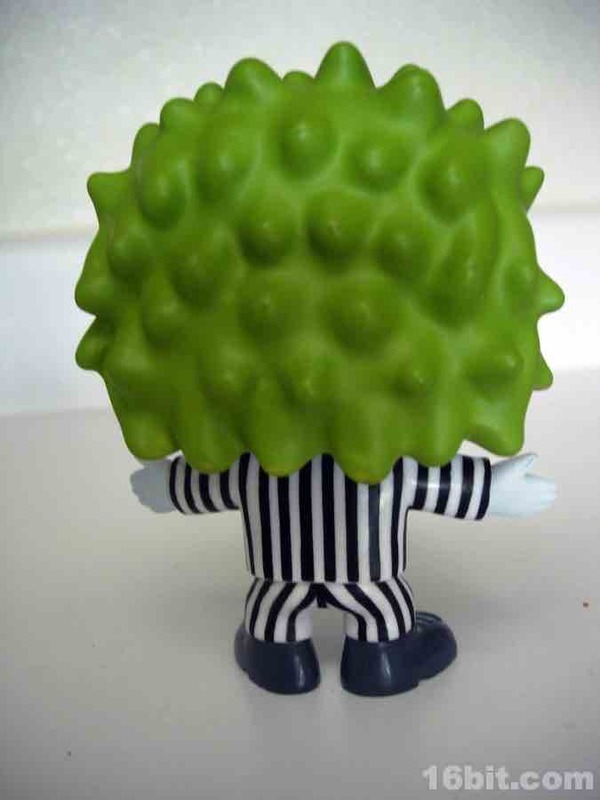 At about 4-inches tall, this is another in a great series of figures that seem tailor-made to be stored on desks or displayed on a giant shelf with an entire line of characters in their boxes. 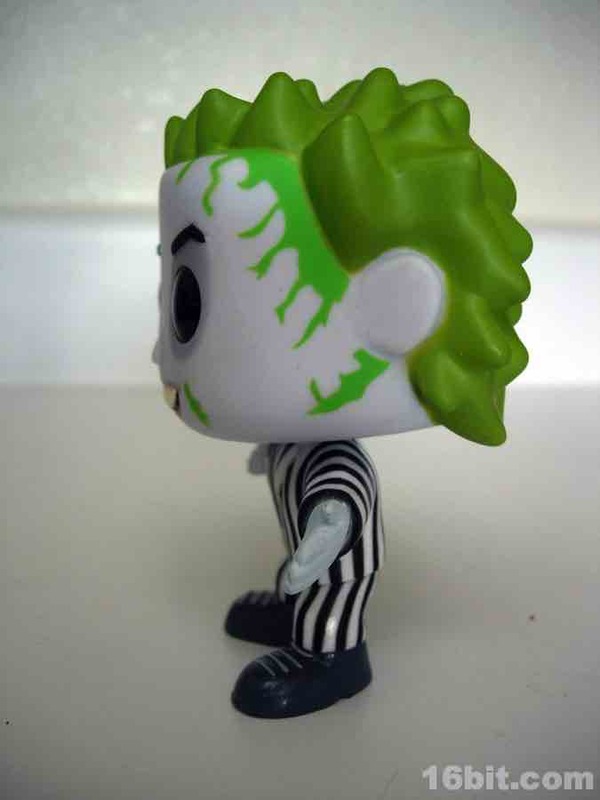 The packaging artwork (not shown, long story) shows a slightly different design for the character, trading the black eyes for a crazy red-and-yellow spiral pattern. The final figure, as seen here, looks a little better as too much color will make your head explode. 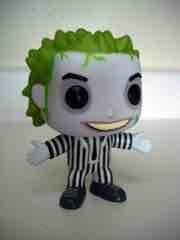 His white-and-black striped suit still remains, as does his greenish yellow hair and freakish green markings on his head. Presumably, these are boogers, but it's tough to know for sure. It certainly looks a little gross and if any of you watched the Nelvana cartoon nearly 20 years ago, odds are you know that BJ would be proud of this. 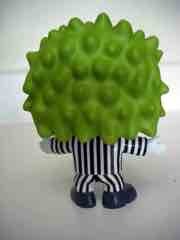 The figure is fairly simple, jointed only at the neck and able to stand without additional support quite nicely. While this version lacks the rooted hair of Mezco's release, it is pretty cute and might make a good gift for a Tim Burton fan. 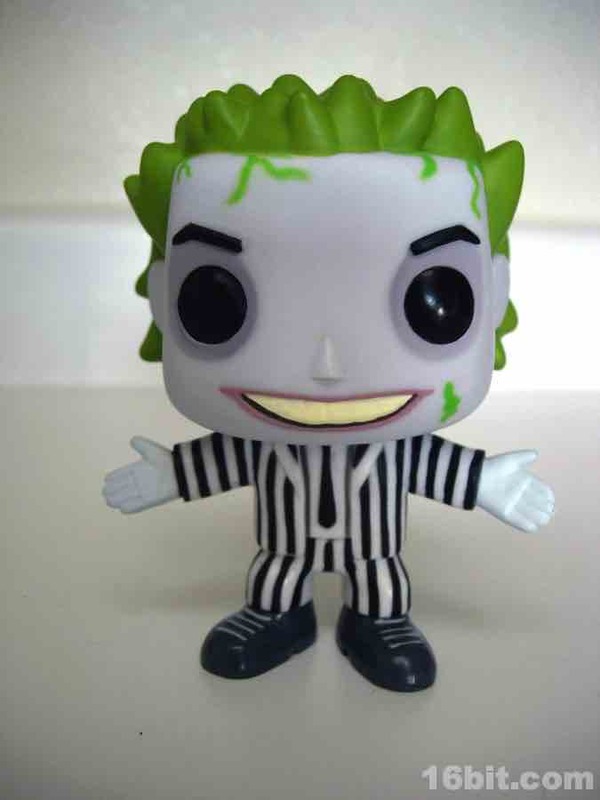 As a collector you've got plenty of Beetlejuice choices these days, and I like this one because it's cheap and distinctive. Plus I can have it standing next to Batman, and pretend that a Mr. Mom Pop! Vinyl is coming down the road to complete the Michael Keaton triptych. If you can get this one cheap (or at retail), I think you'll enjoy it-- what you see is what you get, there are no nasty surprises here.